Weekly updates on the SJHL's Weyburn Red Wings. Here you can find news, stats, interviews and pictures of your Weyburn Red Wings. Opinions expressed in blog writings are those of the writers and do not necessarily reflect the opinions of the Weyburn Red Wings organization or the Saskatchewan Junior Hockey League. 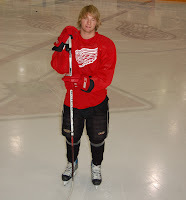 For the next season we will be using the new blog located at www.redwingsblog.ca. All new postings will be found on the new blog. The links have also been changed on the Red Wings homepage. This site will remain open until the start of the season. I am still working on a few things but with the new domain being purchased it was time to get everyone ready for the change. Six Weyburn Red Wings took part in the 52 team Pro AM Tournament last weekend, which they won. Torrey Lindsay, Preston Shupe, Rhett Bly, Connor Krukowski, Stephen Simms and AJ Whiffen were all a part of Team Kayden Canada West. More information is located at www.proamhockey.com. A story has also been posted online at www.weyburnredwings.ca. We may have some pictures posted next week thanks to the Bly family, so make sure to check back soon. Surprise surprise, the renovations for the Weyburn Colosseum are falling further behind schedule. I know it is hard to get these things underway but let's move already. Last night at City Council, it was stated that the current time line for construction is 'at least' two months behind schedule. During the meeting, Council approved the option for Cardinal Construction to do a cost estimate on the South Dressing Room addition and corresponding second floor. Cardinal Construction will provide the City of Weyburn up to date costing of the project (no tendering), breakdown of labor, materials and subcontractors for a fee of $5,750. Hopefully now the construction can get underway with this decision. *Also they would like to let everyone know that the 'Take A Seat' campaign is still underway. 150 seats have been sold right now to people and businesses around the community If you are interested in purchasing a seat you can call City Hall. Let's get Dwight in The Hockey News! Well last week I got a return email from Edward Fraser, editor of ‘The Hockey News’. Unfortuantely it wasn’t good news. I suggested that someone on the staff think about doing up an article on Dwight McMillan and all the years he has put in with the Weyburn Red Wings and Junior Hockey in general. Hey guys, sorry I haven't been updating the blog with stories regarding the Broncos in the RBC, been busy packing up stuff for the big move. If you want to keep up to date just follow this link. It has everything you will need! After a rougher road than expected, the Humboldt Broncos are right where everyone thought they would be – into the semi-finals at the 2008 RBC Cup. The Schroeder brothers – Scott and Steven – combined for five points as the Broncos clinched a spot in the final four of the National Junior A Championship with a 4-1 win over the Weeks Crushers on Thursday afternoon in the final round robin game for both. Needing a win over the winless Oakville Blades to wrap up a spot on Wednesday, the Broncos turned in an uncharacteristically poor defensive performance, falling 7-6 to the Central Region champions. They made sure there would be no repeat on Thursday, holding the Crushers to just 26 shots on goal, while they directed 46 towards Weeks goaltender Alexandre Quessy. After spending much of the opening 10 minutes in the Weeks zone, the Broncos were finally rewarded when Steven Schroeder – Humboldt’s player of the game – picked up a loose puck off the end boards and snuck a shot past Quessy. Knowing that a win would clinch a semi-final spot for them, and eliminate the Broncos, the Crushers fought back, and pulled even on the powerplay less than five minutes later, as a point shot from captain Scott Lavigne – Weeks’ player of the game – hit a Humboldt defender on the way in and deflected past netminder Taylor Nelson. Quessy stood tall in the first period, stopping 19 of the 20 shots he faced to keep the game close, but the floodgates opened in the middle frame. Mitchell Stretch gave the Broncos the lead for good just 37 seconds after the period’s opening face-off, rifling a point shot over the shoulder of Quessy, and Steven Schroeder and Matthew Kirzinger added goals in a period dominated by the West Region champions, who outshot Weeks 18-4 in the period. Weeks pressured the Broncos in the final 20 minutes, outshooting Humboldt 12-8, but could not get a puck past Nelson, and now must wait for the outcome of tonight’s Camrose/Oakville game to determine their playoff fate. If Oakville wins, the Crushers will watch the remainder of the tournament from the sidelines – but a Camrose win puts Weeks into the semi-finals by virtue of their overtime win over the Blades on Monday night. If you want to keep up to date on Stephen Simms and Kyle Haines next season, I have added a link the the Lake Superior State University Blog! It is on the link list and should be at the bottom right hand side of the blog if you are using something other than Internet Explorer (which you should be). For some reason the blog shows up in two columns in Internet Explorer so if you are using it, the link should be near the very bottom of the left side. 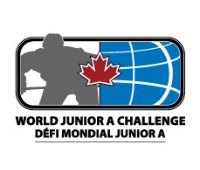 Red Wings head coach Dwight McMillan has been named an assistant coach for Team Canada West at the 2008 World Junior A Challenge. Dwight has been named to the coaching staff for three years in a row. WHL Bantam Draft is almost here! <----- Weyburn's Brent Benson has been featured in The Hockey News and is expected to go in the top 5 during the WHL Bantam Draft. The WHL Bantam Draft is on Thursday, May 1. A number of Weyburn Crescent Point Wings have a chance to get selected in this year's draft. They are Brent Benson, Nate Ferris(former Milestone resident..thatta boy), Reid Jackson, Carter Struthers and Garett Walbaum. Benson is expected to be one of the top five picks and could be taken first overall, but just being selected will be huge for any of these boys. Other names of interest around the area are Blaine Thomson of Assiniboia who played in Notre Dame, Ryan Murray of White City who played Pee Wee Hockey in Weyburn, Codi Sjostrand of Midale and Brandon McClarty of Ceylon. Best of luck to all of the boys in the draft. This blog is maintained by Troy Kramm of Weyburn This Week and Brad McNeil a color commentator and an avid fan of the Weyburn Red Wings. Click the photo to head on over to some game action photos and random pics of the Wings.